The issue of gay rights grew into a national story in Miami on Jan. 18,1977 when a throng of conservatives — led by entertainer and Florida orange juice spokeswoman Anita Bryant — packed Miami-Dade County’s commission chambers to protest the potential passage of a gay rights ordinance. 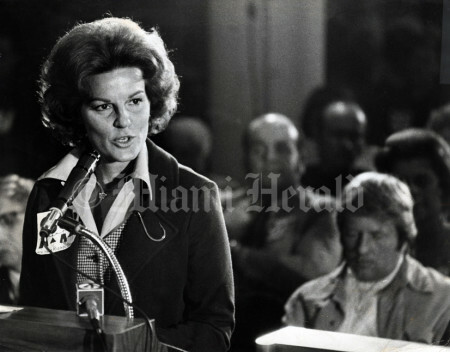 As a heated debate took place inside the downtown chambers, temperatures outside dropped to a record low. Commissioners passed the ordinance by a 5-3 margin. As the sun rose the following morning, Miamians awakened to snowflakes — the first and only time snow fell upon the city. Miami-Dade became the first major urban area in the country to pass legislation protecting gays. 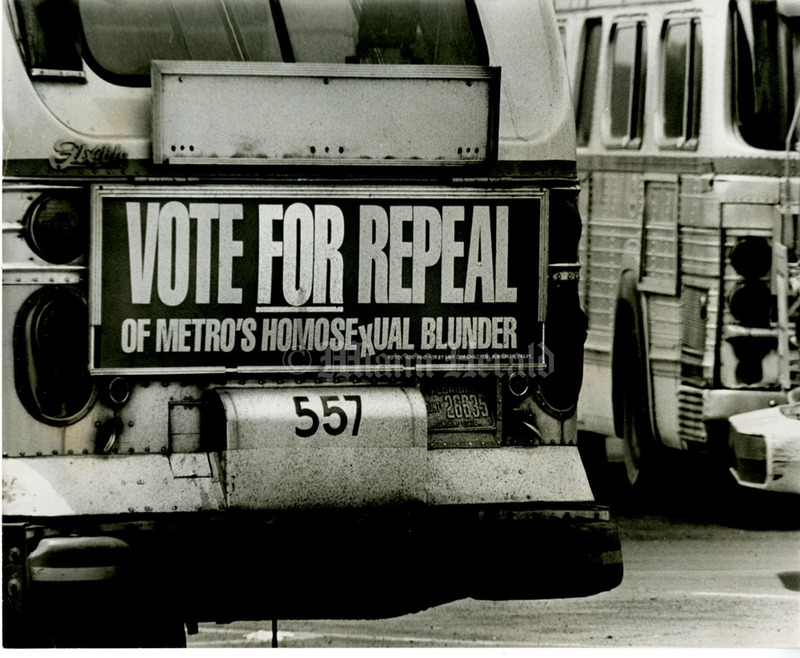 Bryant vowed to lead a repeal to the ordinance- and succeeded. It took more than 20 years for Miami-Dade to revive and pass the law. 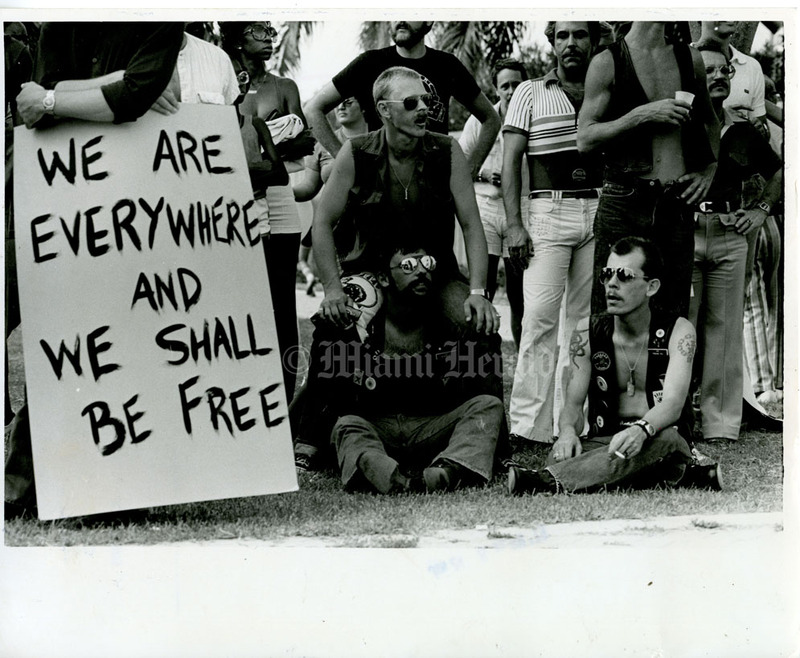 6/24/1979: Jose Azel/Miami Herald Staff -- "We Are Everywhere and We Shall Be Free," states sign at gay rally. 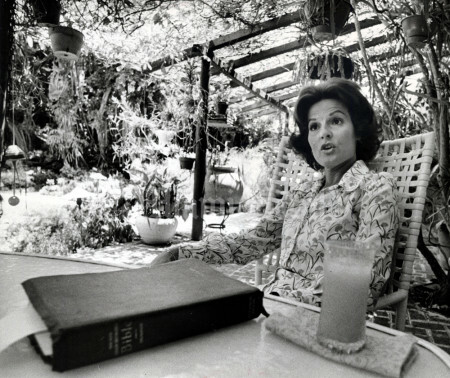 Published June 25, 1979. 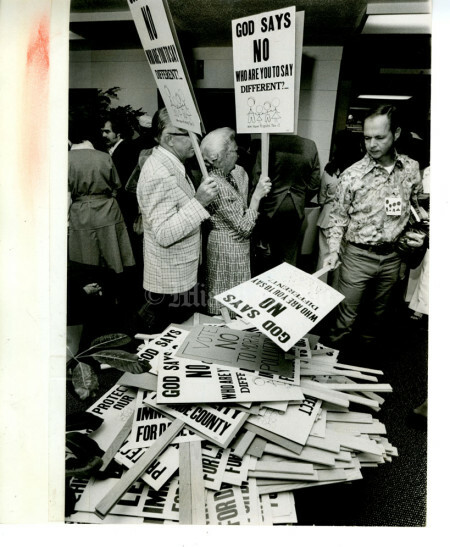 1/18/1977: Joe Rimkus Jr./Miami Herald Staff -- After the vote for the amendement this pile of signs seems to tell it all outside the Metro Commission meeting. "God Says NO, Who Are You to Say Different?" signs are discarded. 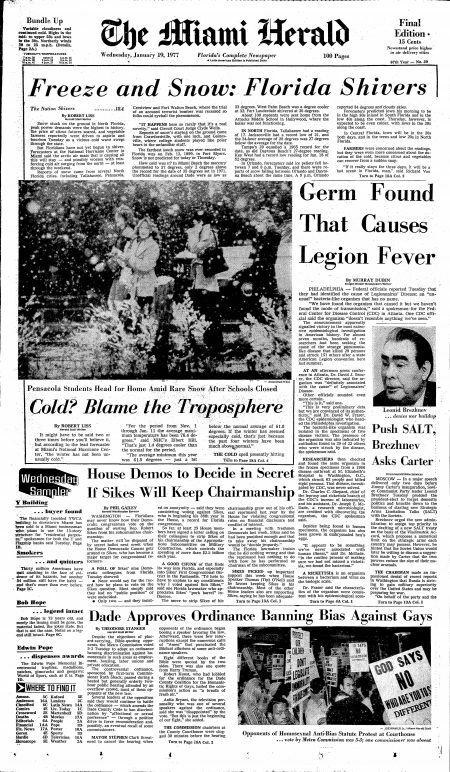 Published January 27, 1977. 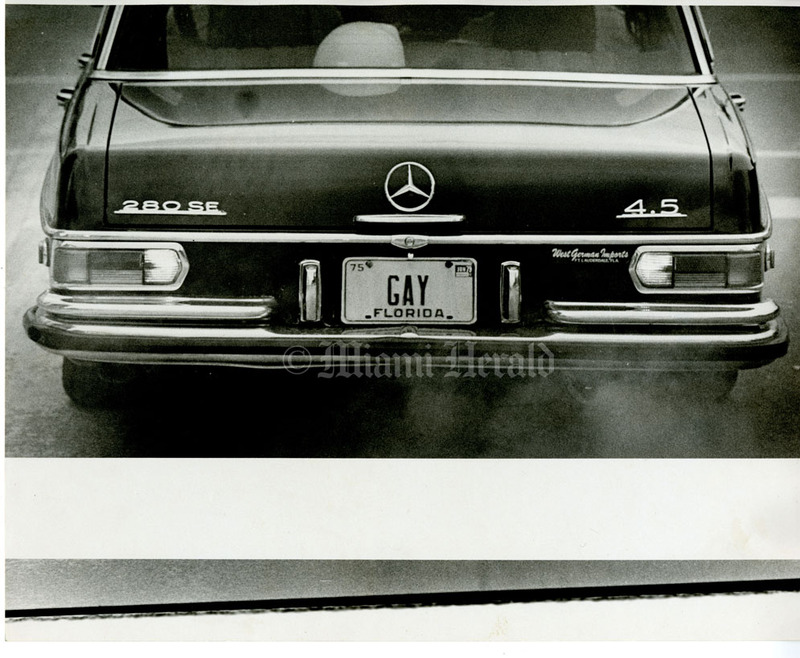 6/25/1978: Tim Chapman/Miami Herald Staff -- Florida license plate "GAY" appears on a Mercedes Benz. 4/24/1989: Jon Kral/Miami Herald Staff -- Gay student at University of Miami. 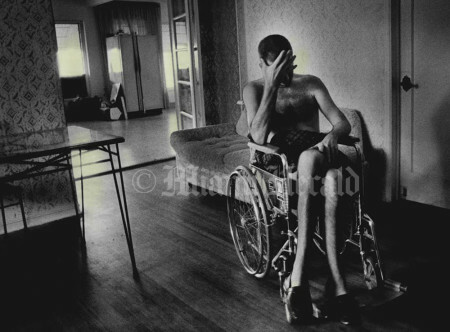 Published April 25, 1989. 5/24/1977: Marlin Levison/Miami Herald Staff -- Anti-gay advertisement on back of bus reads "Vote For Repeal of Metro's Homosexual Blunder." 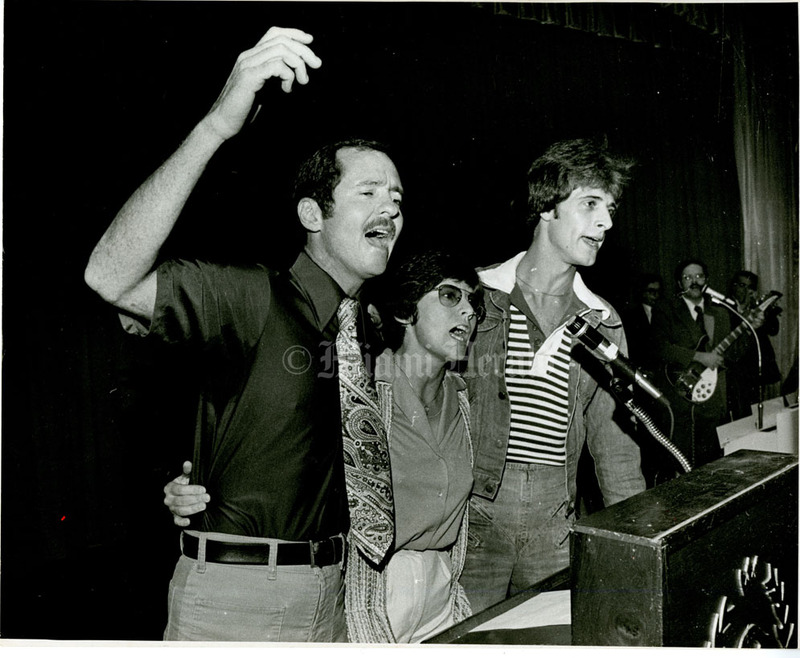 Paid for by Save Our Children, Bob Green, treasurer. Published June 4, 1977. 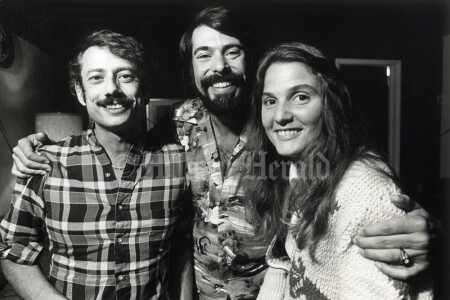 7/10/1984: Rebecca Barger/Miami Herald Staff -- Three gay friends relax in the afternoon at the beach. 1/18/1977, Joe Rimkus Jr./Miami Herald Staff --Anita Bryant speaking before the metro commission meeting – she was against the amendment. 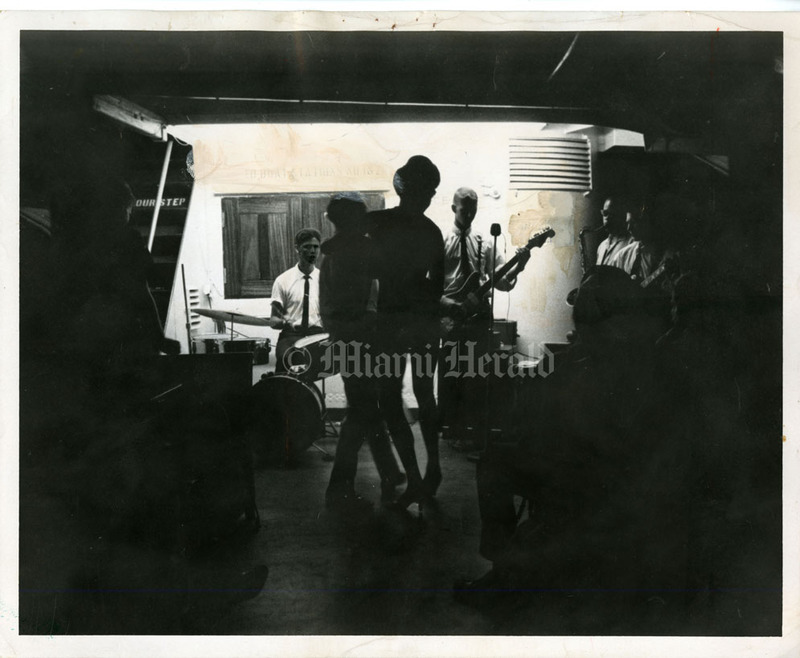 7/13/1964: Albert Coya/Miami Herald Staff -- A World in Shadow. Two boys -- one dressed as a girl -- dance together. 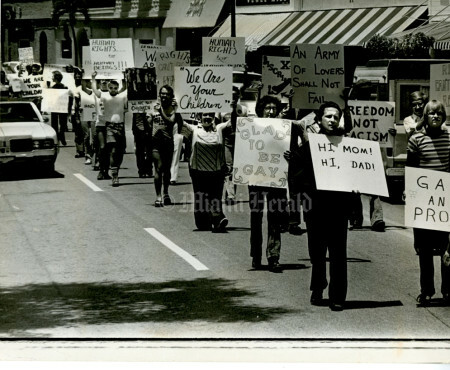 Dade's homosexual population may be as high as 20,000. Published August 9, 1964. 6/27/1977: John Pineda/Miami Herald Staff -- Gays march carrying signs such as "We Are Your Children," "Human Rights for Human Beings," and "Glad to be Gay." 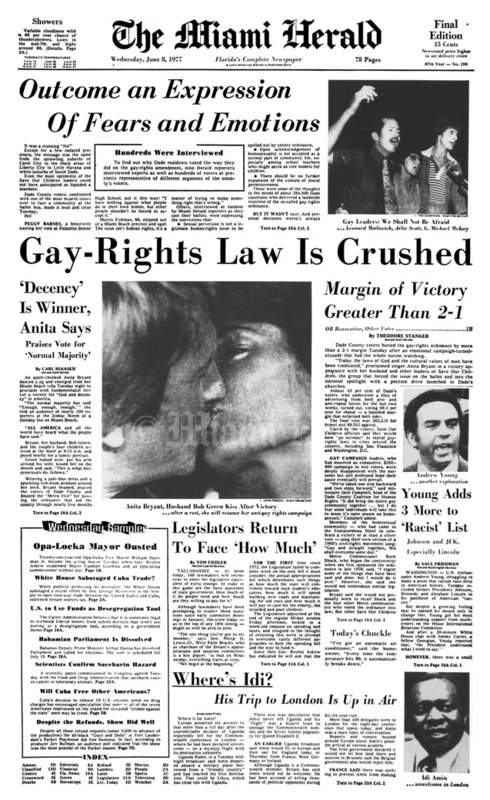 Published 2/11/1979: Gays at the beach. 12/1/1998, Charles Trainor Jr./Miami Herald Staff -- GAY RIGHTS VOTE Jack Spirk, wearing SAVE DADE stickers, holds his dog Shadow outside the Civic Center where the comission voted to pass and anti-discrimination ordinance. 1/18/1977: Joe Rimkus Jr./Miami Herald Staff -- Crowd outside the Metro Commission meeting with signs such as "Protect Our Children," "Don't Legislate Immorality For Dade County," and "God Says NO, Who Are You to Say Different?" Published January 19, 1977. 6/30/1988: Rick McCawley/Miami Herald Staff -- At the command post in Wainwright Park, police book man on charges of lewd and lacivious behavior during sting operation. 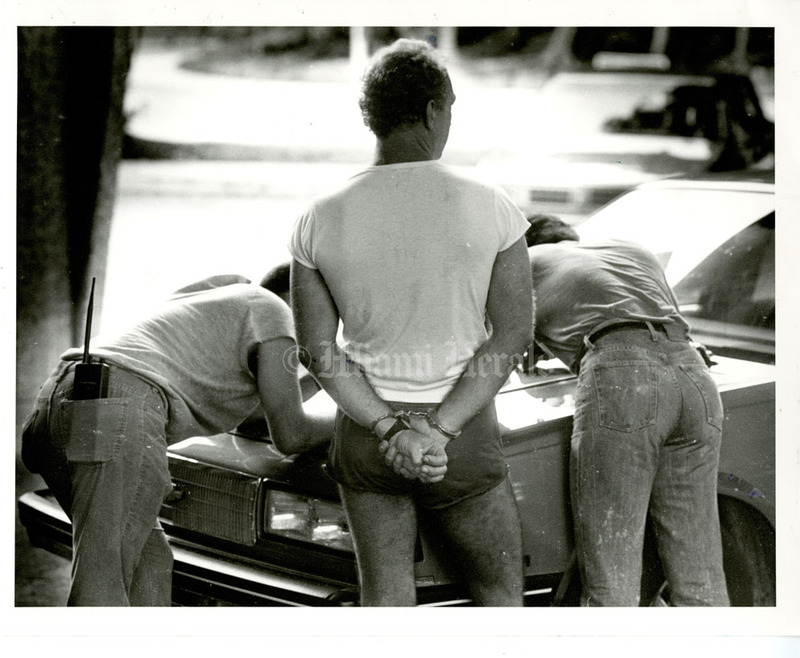 Published July 3, 1988 in Neighbors. 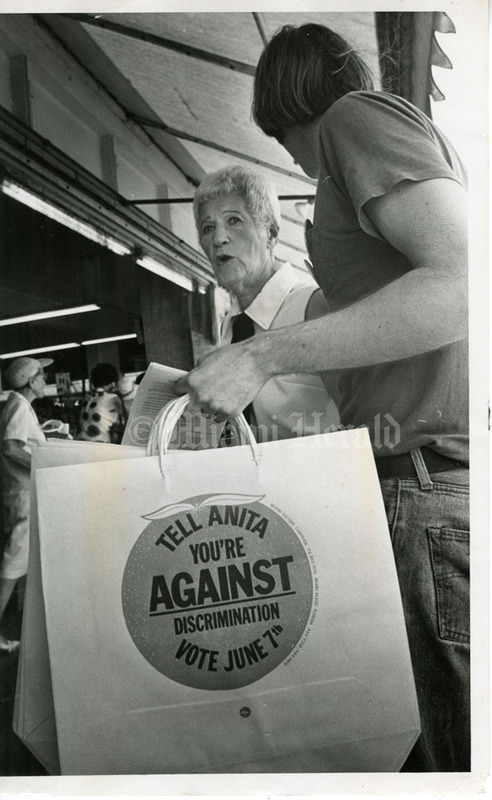 5/31/1977: Jose Azel/Miami Herald Staff -- Supporters of pro-gay rights handing out shopping bags labeled "Tell Anita You're Against Discrimination; Vote June 7th," at Washington Avenue and 13th Street. 11/28/2009, Charles Trainor Jr./Miami Herald Staff --The 25th Annual White Party Week Miami the world's largest and oldest HIV/AIDS fundraiser benefiting Care Resource at Vizcaya, Miami. 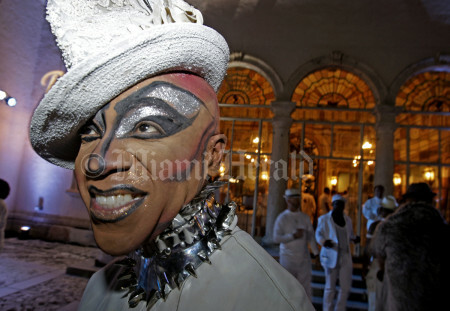 Kitty Meow walks the party posing with guest and he is also the master of ceremony. 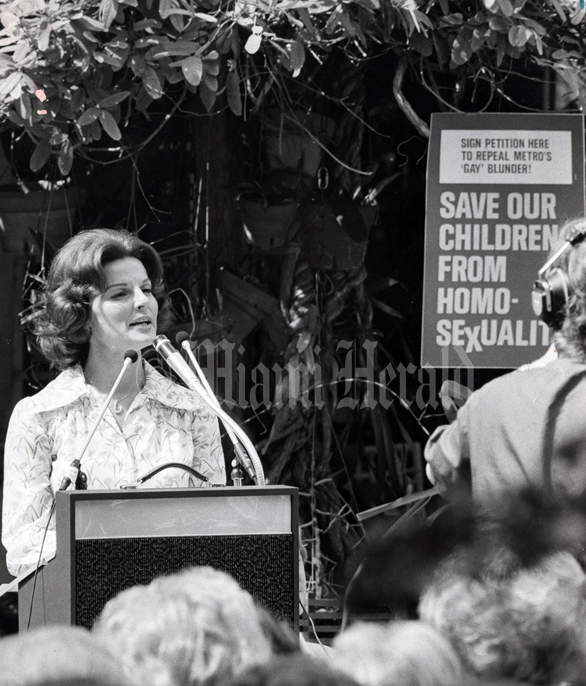 5/17/1978, Bob East/Miami Herald: Ruth Shack, the sponsor of the 1977 Human Rights Ordinance in Miami-Dade County. 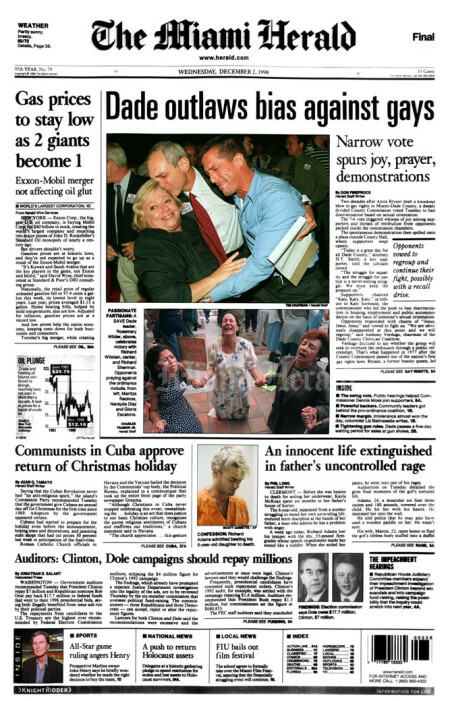 1/19/1977: Miami Herald Front Page. 6/25/1978: Tim Chapman/Miami Herald Staff -- Lambert the dog and master "Duck" at gay parade. 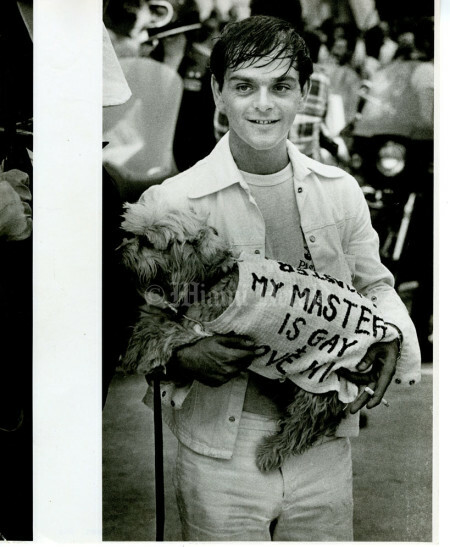 Lambert's vest reads "My Master Is Gay + I Love Him." 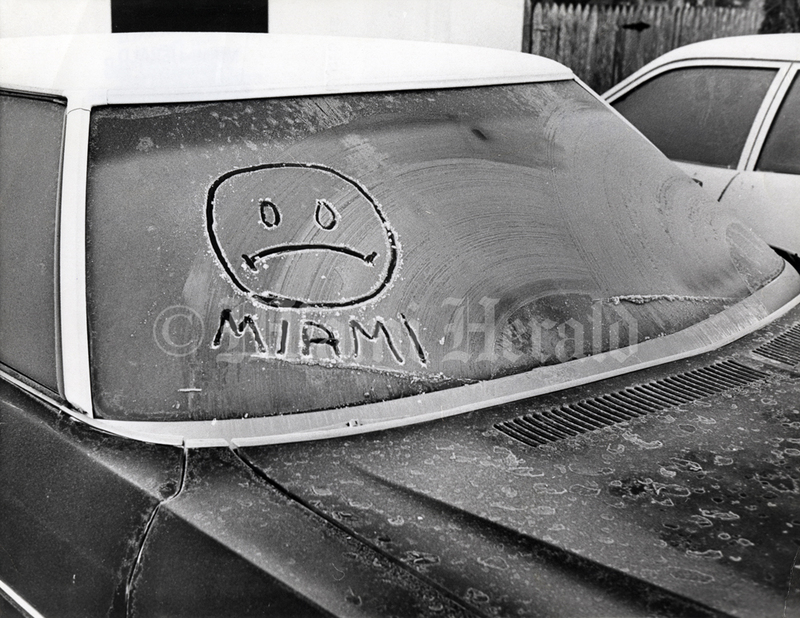 1/20/1977, George Kochaniec/Miami Herald Staff --Snow in Florida. 4/25/1977, Joe Rimkus Jr./Miami Herald Staff -- Orange juice, a Bible and Anita Bryant. 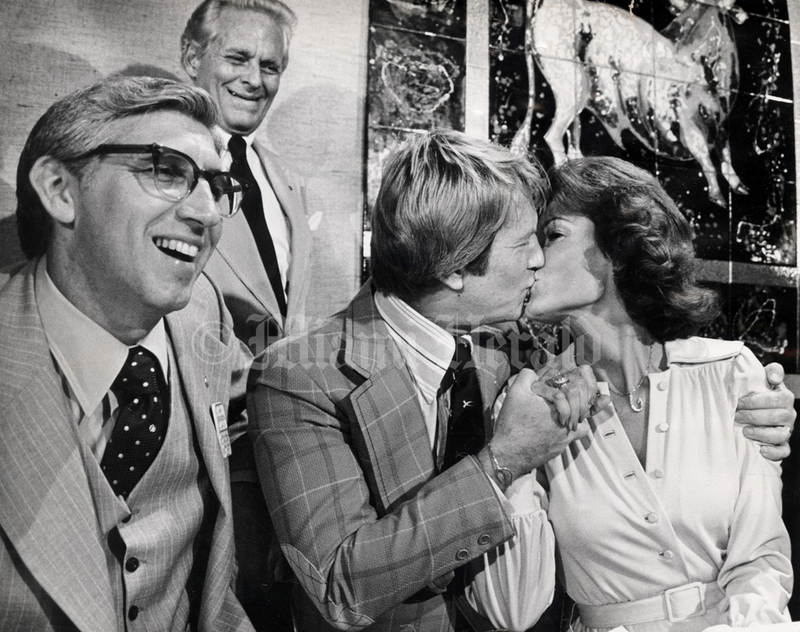 6/8/1977, John Pineda/Miami Herald Staff -- Anita Bryant, husband Bob Green kiss after victory. 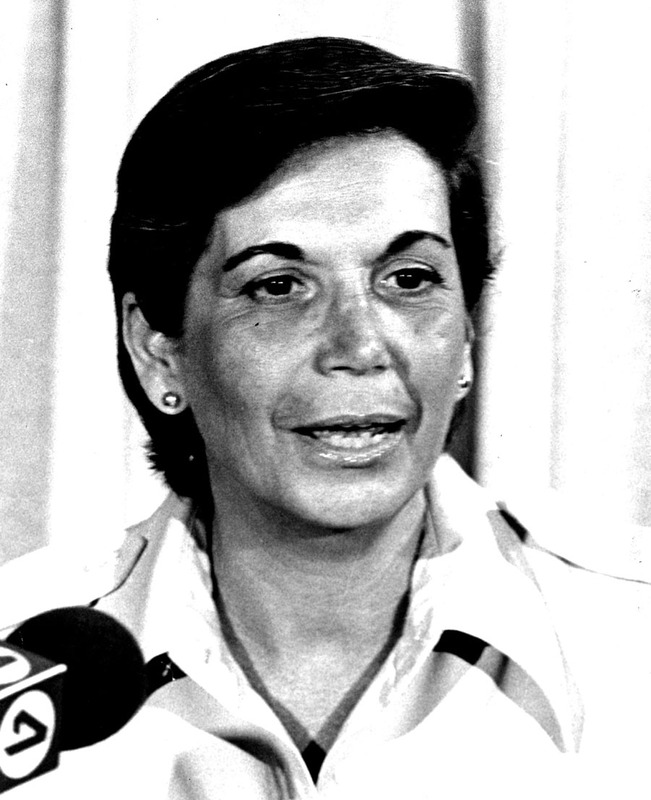 After a rest, she will resume anti-gay rights. Bryant, Green and the couple's four children arrived at the hotel and posed briefly for a family portrait. Green leaned over, put his arm around his wife, kised her on the mouth and said, "This is what heterosexuals do, fellows." 12/1/1998, Charles Trainor Jr./Miami Herald Staff -- GAY RIGHTS VOTE L to R- Richard Sherman, James Balzano and Yanko Salazar cheer the yes votes by the County Comission that passed the anti-discrimination ordiance today. 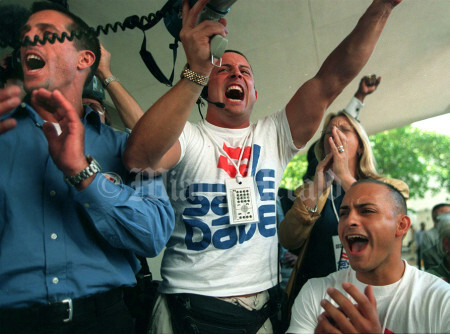 They are with SAVE DADE group that helped support the movement for the ordiance. 11/7/1978, Murry Sill/Miami Herald Staff --Alan Rockway, Ph.D., Bob Kunst, Melodie Moorehead, M.A. 6/7/1977: Tim Chapman/Miami Herald Staff -- Leonard Matlovich, Arlie Scott (vice president of national NOW) and G. Michael Mckay chant "We Shall Overcome," then they change it to "We Shall Not Be Afraid." Published June 8, 1977. 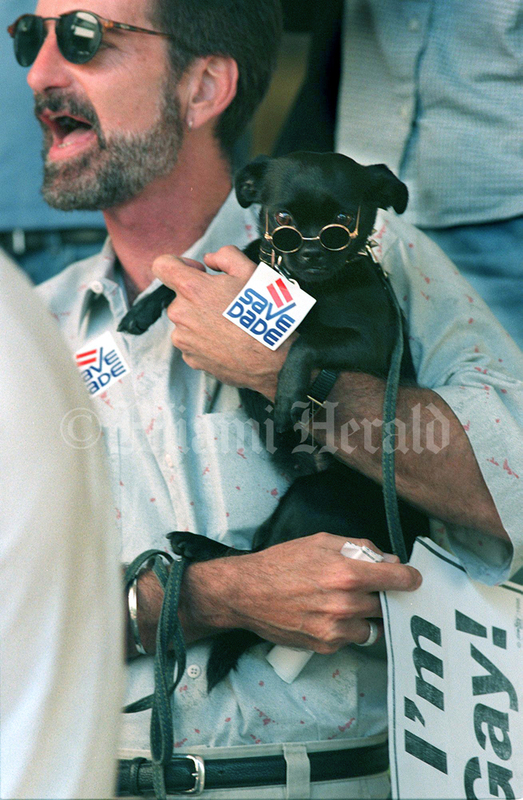 11/5/98, Charles Trainor Jr/Miami Herald Staff- - George Mursuli 9left, wearing dark suit) of SAVE Dade is hoisted in celebration by some of the people that showed up this morning at the Civic center as Miami Dade commissioners debated whether to add gay and lesbian people to those protected by Dade's human rights ordinance. The commission voted 7-6 in favor of holding a public hearing on the issue. 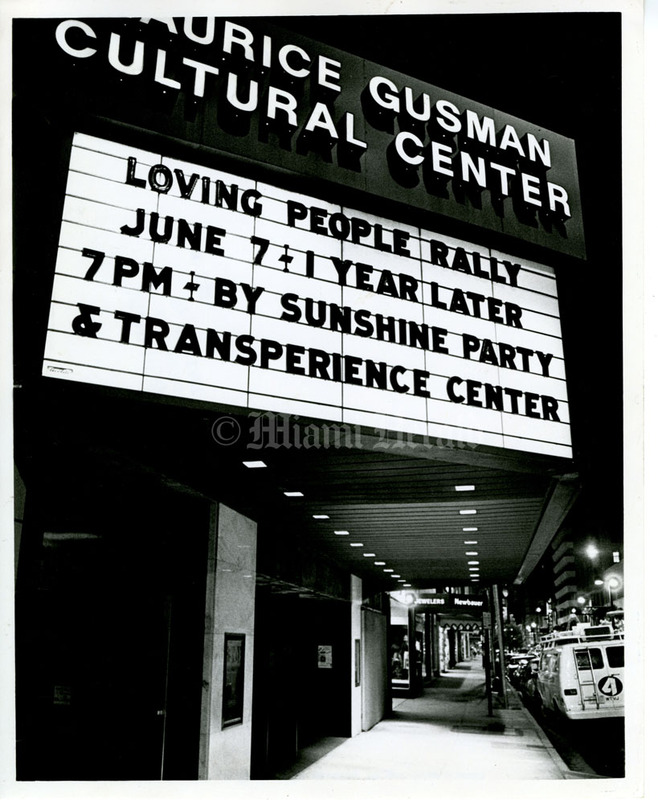 6/7/1978: Bob East/Miami Herald Staff -- No great crowds on Flagler Street waiting to get into the Maurice Gusman Cultural Center. Marquee reads "Loving People Rally June 7 + 1 Year Later." 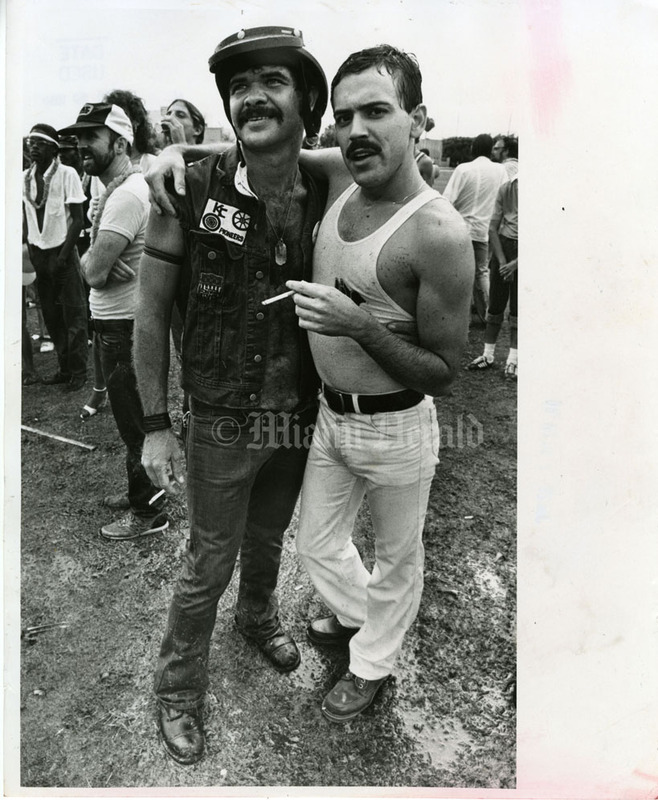 6/29/1980: Bruce Gilbert/Miami Herald Staff -- Josh Basar and Reggie Charboana at Bicentennial Park gay rally. Published June 30, 1980. 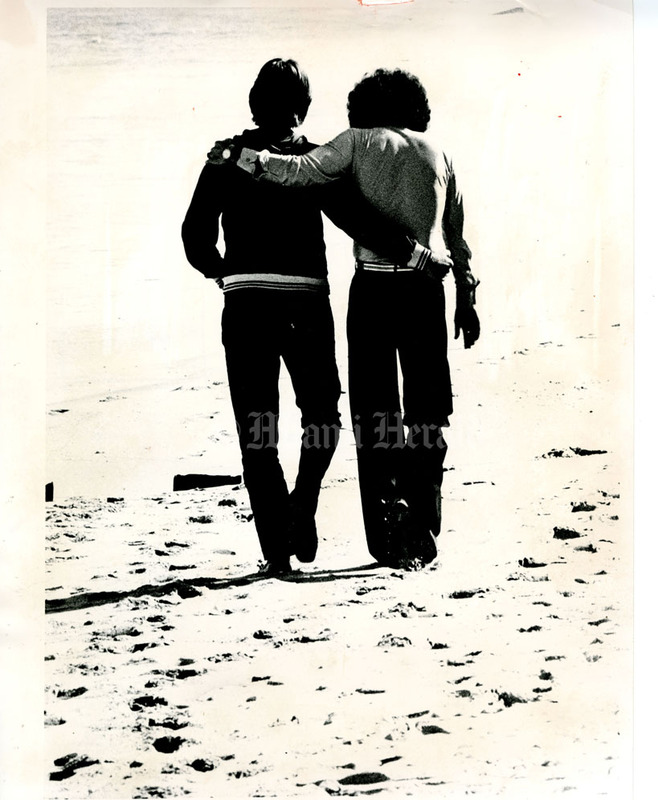 10/16/1983, Carol Guzy/Miami Herald Staff -- Gay couple holds hands. Want to know more? Watch The Day it Snowed in Miami, an Emmy-winning documentary that traces the political activism behind an equal-rights statute in Miami, and how it galvanized the gay rights movement in Florida and beyond.